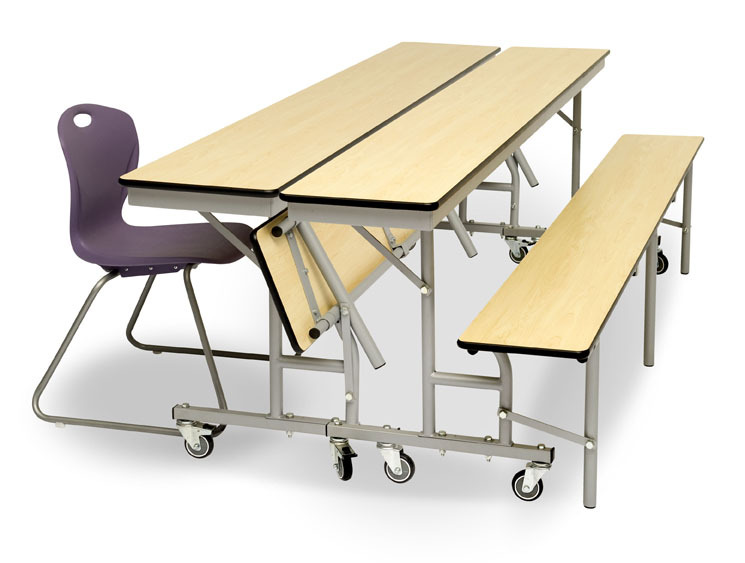 The convertible table and bench unit is versatile in design to provide a contemporary and modern twist on a school dining table. The sleek laminate finish gives a sophisticated feel and look to any room. The unit has a 3-in-1 design to maximise use around educational establishments. 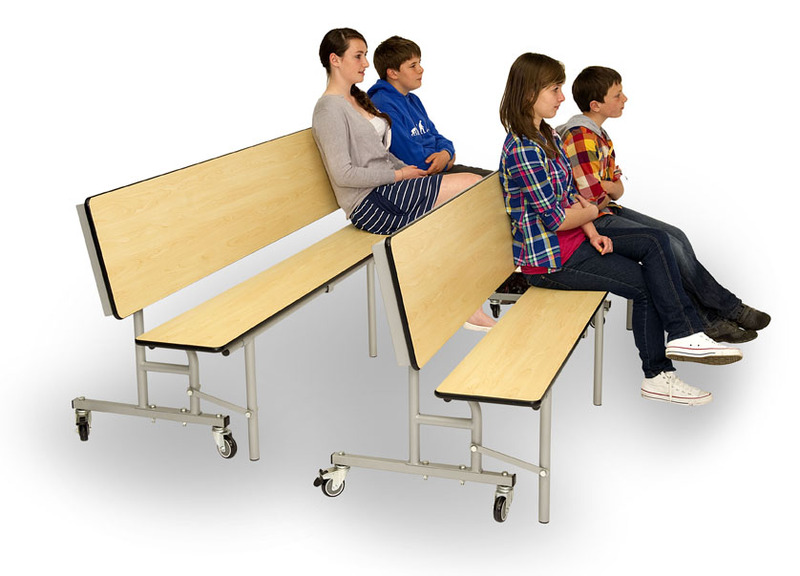 The unit can be used as a classroom table and bench, be joined with another unit to create a cafeteria table or be used as an auditorium style bench. The unit is fully DDA (Disability Discrimination Act) compliant to facilitate wheelchairs when the table is in use without the seat. 2 table heights available - 685mm and 735mm. The seat and table heights of this unit all conform to BS EN 1729, making the unit ergonomically comfortable as well as providing appropriate posture for children. Table top and bench tops are available in 3 colours - maple, grey and blue (speckled blue/grey). Manufactured from MDF which is laminated on both sides to provide a waterproof, easy-clean surface for improved hygiene. The ultra-tuff rubber edging on the unit tops are also water-resistant for easy cleaning and extra durability. The steel frame and heavy duty tops contribute to the unit having a maximum load bearing weight of 600kg per bench, when evenly spread. The units provide 4-6 seating positions depending on the age of the children. 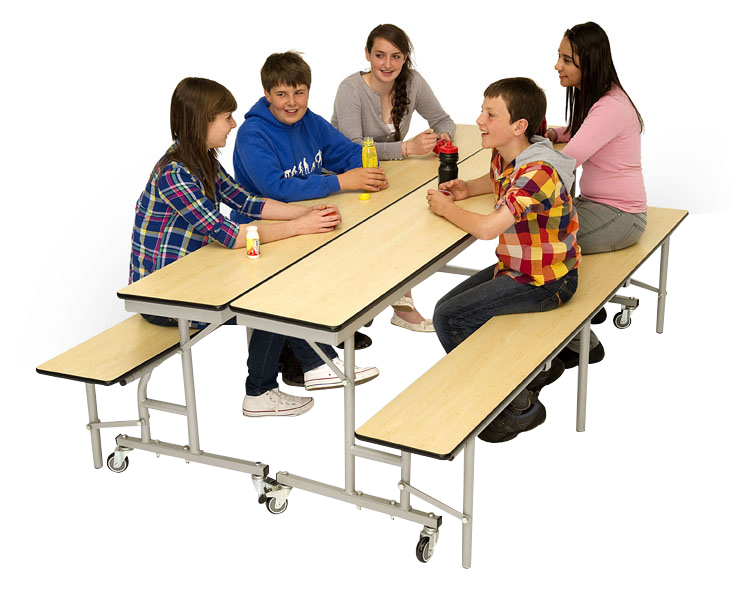 Ergonomically designed, the innovative structure of this convertible table and bench unit makes each configuration ideal for use in classrooms, school dining halls and school assemblies. 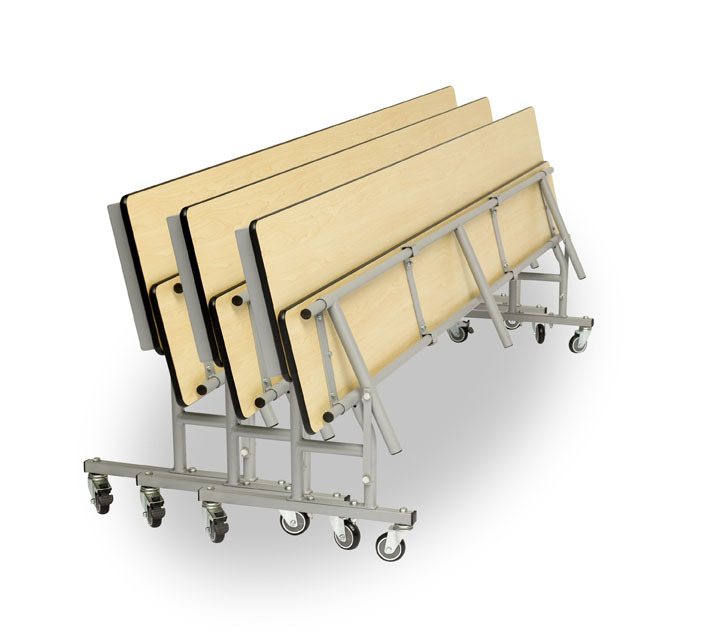 The 4 easy-glide castor wheels mean schools can convert halls and rooms into multi-use areas effortlessly, efficiently and without any heavy lifting. Here at ELF, all of our mobile dining tables are tested and fully FIRA certified. This means they are deemed to be sufficiently stable and structurally suitable for educational use. Take advantage of our FREE 3D planning service which will create bespoke solutions and space plans for school dining rooms, canteens and cafeterias. We also offer a FREE site survey which will evaluates your needs in order to create the most viable solution for quantity, positioning and style of dining tables. 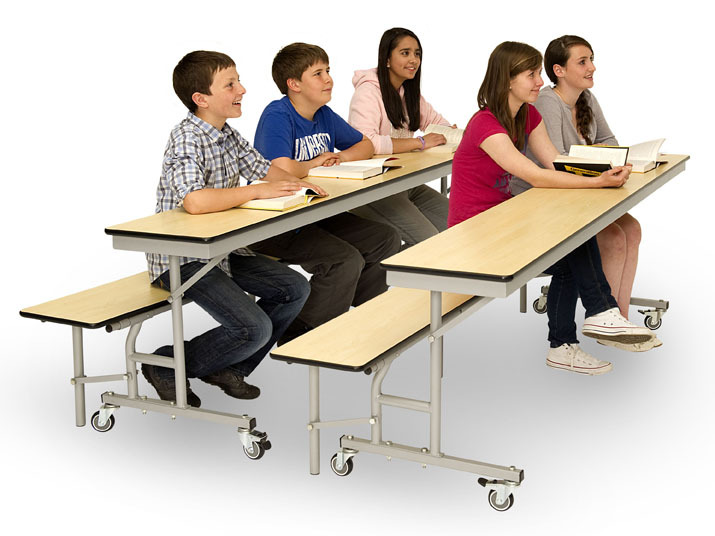 Please note: the images on this product page depict two benches pushed together, not one individual table.